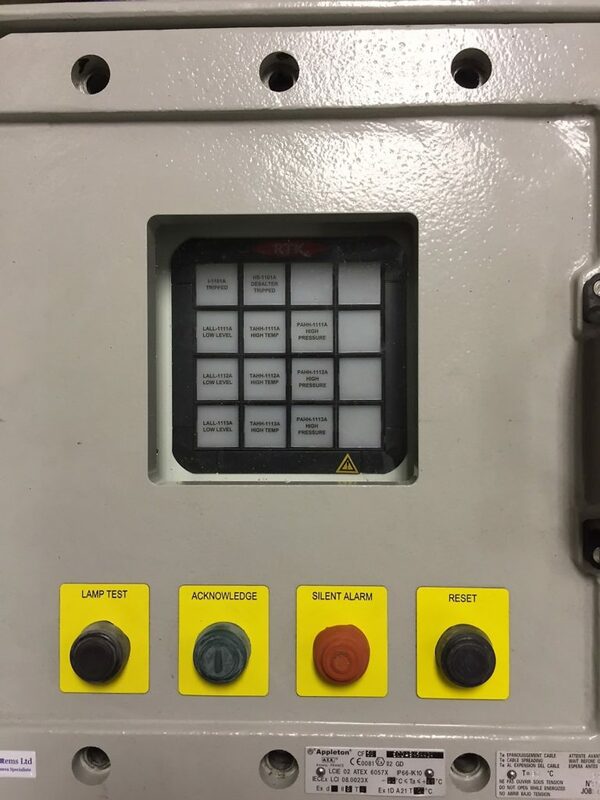 J.B. Systems Limited offers a fully customised explosion proof and safe area panel assembly and wiring service using a variety of explosion proof Exd enclosures. We also offer Exe and Exde enclosures. All hazardous area enclosures and terminal boxes comply with ATEX requirements and are supplied with the relevant Declaration of Conformity and Hazardous Area Certifications where requested. A full design and CAD drawing facility is available. 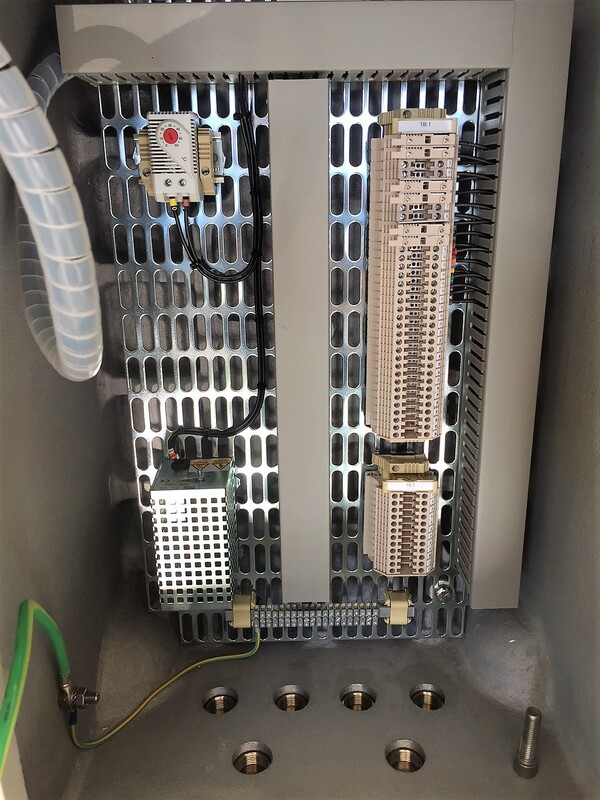 Typical components, which can be mounted inside these enclosures, range from PLC’s, timers,relays, large and small contactors, overloads, transformers and terminals. For Exd and Exe enclosures, lamps, pushbuttons, switches and isolators can be mounted on the door or lid. Windows of 50mm or 90mm are available for analogue and digital meters. Larger square or rectangular windows up to 250mm x 200mm can also be supplied for annunciators or equipment with large or detailed readouts. 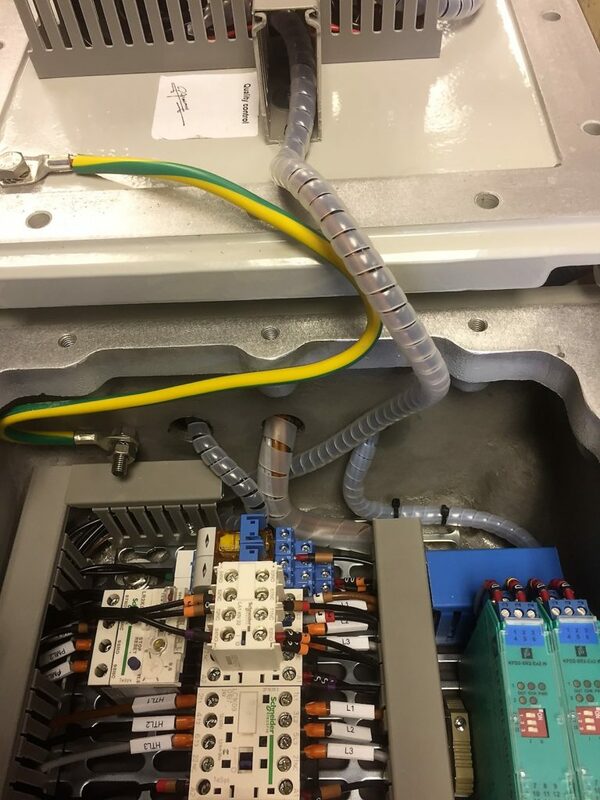 Materials of enclosure and terminal junction boxes vary from, marine grade aluminium, painted steel, stainless steel, aluminium, polyamide, polyester and GRP. Cable glands for hazardous and safe area applications are available on request. 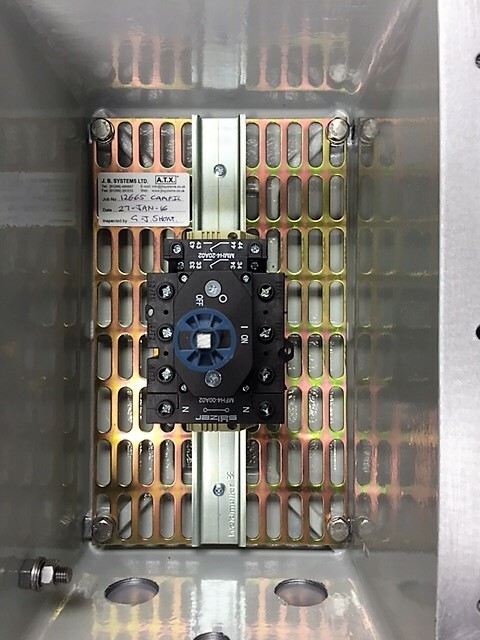 Typical components, which can be mounted inside these enclosures, range from PLC’s, timers, relays, large and small contactors, overloads, transformers and terminals. 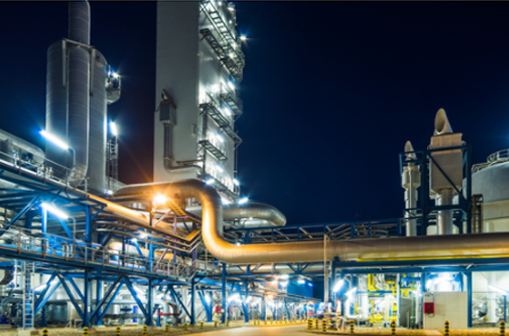 J.B. Systems is a renowned supplier of hazardous area equipment, supplying complete design and manufacture of control equipment for use in hazardous locations for over 30 years. © 2017 JB Systems Limited.